Power is the rate of doing work or the ability to be explosive. When it comes to being successful in sports, performance is closely linked with power. In baseball, power can impact your throwing, hitting, base stealing, and fielding. Kettlebell swings are a great exercise that takes the power of the jump and uses that to propel a weight. The swing is a total body movement that builds strength, while also requiring power, speed, and endurance. Adding bands to some of your jumps, like broad jumps, are a great way to increase your force production. The broad jump is a great measure of pure power output and is often tested inside gyms, combines, and athlete intake. Trap bar jumps are generally performed with low weight so that peak power can be achieved. With too much load, the velocity will drop, which defeats the purpose of the lift. With the trap bar, the weight is now closer to your center of mass, with the arms down by the sides in a neutral position. Similar to a squat jumps, kettlebell swing, or broad jumps. Similar to trap bar jumps, you want to choose a weight that will not make you too slow. When you start seated on a box, you are eliminating the eccentric (lowering) aspect of the jump. You will not have the rubber band effect to help you. You must provide all the power on the way up. If you are adding these types of exercises into your training program, make sure your takeoffs and landings are optimal. I typically program these types of exercises after a full warmup, but before your main lifts. Stay in the 2-4 set range of 3-5 reps.
Focus on one rep at a time, similar to one pitch at a time, one swing at a time mindset. Make that specific rep the best you can. In a recent survey I posted on my Instagram and Twitter accounts, I asked a series of questions for baseball players, and their personal experience with their long-term development. I had a tremendous response, including MLB players, Minor League players, players from all NCAA divisions, & high school athletes. Thank you to all who took the time and submitted their answers! 96% responded with a YES. Of the 4% who said no, were all under the age of 15 when they first started a lifting program. 98% of responded by saying they should have already started, ASAP, or prior to high school. I wanted to break down the long-term development and talk about goal setting, and what exactly is a periodized training program. This is your planning and process for long-term success. Based on your sport, age, competitiveness, and other factors, planning for your on-field performance is crucial. Following a periodized program will help layout your foundation for where you currently are, and where you would like to get. This could be 1 month down the road, 3 months, or a year. Having that plan allows you to steadily progress your workout program as you begin to see results! This is the annual plan. Long term, this prepares your athlete or client to peak at their performance day or season. This is your longer duration phase and where you will see adaptations and building capacities. This is where you should be making the largest impact on your performance. Maintaining what was built during the off-season. Maintaining movement patterns, body positions, and strength. Depending on your age, this can also be used to continue to build on your previous success. This is commonly seen in youth and middle school ages. Post Season work. This helps the body repair, recover, rest, and regenerate. Depending on the age, athlete, sport, this phase can be 3-5 weeks. Mesocycles are phases/months of training that can range from 2-6 weeks depending on the athlete. The mesocycle is where you can have your adaptations, and changes. With higher level athletes, you can begin to have different program variations (triphasic, contrast, VBT, hypertrophy, etc.) based on goals, and what the athlete is prepared for. There will be anywhere from 3-10 mesocycles in a macrocycle based on age, sport, and level. These smaller cycles enable athletes to progressively improve upon an area of their training in a systematic manner. Focusing on making sure the athlete understands the purpose behind their training and can set short-term, more manageable goals to help whatever long-term goals they may have. These are commonly smaller programs, sometimes a week. This may be seen more during in-season, or if a client is traveling a lot for sport… for example, summer baseball travel. You may have to adjust weekly based on how the body is feeling, games, practices, and travel. This is where client rapport comes in, so you can communicate with them. I have many athletes who we adjust the workout based around how they walked in the door. Some may come in tight after a game or travel, and just not in a good position to perform the planned lift. Making that decision can be something that can keep an injury away! For example, if you have a stiff back after a ski trip, just because your program calls for deadlifts, does not mean you have to perform them. Instead, consider performing other exercises that are not strenuous for the back and moving your deadlift routine to a different day until your discomfort is eliminated. Based on that chart, those are some of the questions and what I commonly see after training baseball players from all levels (MLB, MiLB, NCAA, High School, Youth). Be sure to apply these principles to your training for the best performance results. These principles can be used across all ages for long-term athletic success. Need an Offseason Training Program? I’m really excited to have recently teamed up with Mike Reinold to release a couple of online offseason baseball performance training programs. Now you can follow our acclaimed programs from anywhere in the world, just like all the baseball players at Champion. We give you everything you need to enhance performance, reduce injury, and get ready for the season! Baseball is a three-dimensional sport, but the majority of strength and conditioning coaches seem to gravitate to a sagittal plane dominant regimen while ignoring the frontal and transverse planes drastically. The more we can train our core in all three planes of motion, the easier it is to handle the stress that throwing a baseball/swinging a bat puts on our bodies. In baseball, the body must create, absorb, direct and decelerate energy in all three planes of motion. Being able to achieve this task should allow for a longer and more prosperous career. Most conventional exercises like crunches, supermans and other ground-based exercises are sagittal plane dominant. We need to broaden our approach and start training with a three dimensional approach that replicates baseball activities. The primary function of the core is to facilitate motion between the pelvis and the upper body. This includes accelerating and decelerating motion in all three planes on each side of the body simultaneously. There are various ways to turn on abdominals. For my money, the core reacts best to lengthening or stretching to become stimulated. A muscle must load eccentrically before it can explode or concentrically contract. Lengthening our muscles stimulates proprioceptors which are located within our muscles and tendons and give our bodies feedback regarding muscle tension, muscle length, and movement/pressure. The more proprioception that is achieved during a movement, the more dynamic and beneficial the movement becomes. By using an arm driver, the athlete can take advantage of gravity, ground reaction forces, mass, and momentum to create a chain reaction throughout the body. These types of chain reactions help strengthen and prepare the body for the stresses that the game of baseball demands to play it. Here are some examples of standard plank variations utilizing these principles. By using your arm as a driver, you can create rhythmic eccentric and concentric contractions. Be sure to include this three-dimensional staple for your workouts moving forward. This article, How to Get the Most Out of the Start of Your Baseball Offseason, was originally featured on MikeReinold.com. It’s been a long summer of baseball and it is time to start thinking about your offseason training program! Some people think of the offseason as a time to rest, or to get away from baseball, or to do everything they can to dominate again next season. I’ve seen every spectrum of player, from the player that wants to just sit in a tree stand until February to the player that comes in to train the first day of the offseason. Offseason training programs in baseball are now standard. Believe it or not, this was not the case 20 years ago. However, I think there is another golden opportunity that many players do not take advantage of at the start of the offseason. Think of it as setting the foundation to prepare your body to get the most out of your offseason training. Here is what I recommend and do with all my athletes at this time of year to get the most out of the start of your baseball offseason training. One of the most important aspects to the start of the baseball offseason is to take a step back and get away from baseball. While this may seem counterintuitive, I do believe it is critical to your long term success. For professional baseball pitchers in MLB, the start of the offseason means spending time with family, golfing, hunting, fishing, and probably taking a well deserved vacation to somewhere tropical. It’s a long season, both physically and mentally. I wouldn’t say that a summer of baseball is much easier for the younger baseball players, either. Between traveling teams, tournaments, showcases, and grinding away at practice, the summer is almost as busy as the pro players! I actually joke with some of my high school and college baseball pitchers that they can’t wait to go back to school to take a vacation from their summer baseball travel schedule! I have found that my younger athletes that play a sport like soccer in the fall, tend to look better to me over time. Sure, that is purely anecdotal. But specializing in a very unilateral sport may actually limit some of your athletic potential, especially when you are in the certain younger age ranges where athletic development occurs. Everything is baseball tends to be to one side. Righties always rotate to the left when throwing and swinging, heck everyone even runs to the left around the bases! There is plenty of time to get ready for next spring. Take some time off in the fall and let your body heal up. You aren’t going to forget how to pitch or lose your release point or feel. You’ll come back stronger next season. Tough travel schedule, long hours in a car, bus, or plane, cheap hotels, bad food, lack of sleep, inconsistent schedule. Sound familiar? That is a baseball season. It’s tougher than you would think on your body. All of these factors, and more, wear down your body and it’s ability to regenerate. The constant stress to your body is a grind that drains your energy, increases your fatigue and soreness after an outing, and lengthens the time your body needs to fully recover between outings. Think of it as allowing your body to get back to neutral so you can start building on a solid foundation during the offseason. You don’t want to start your offseason training with your body worn down. I’m always amazed at the amount of people that limp through a baseball season and think that taking some downtime after the season is going to cure all their aches and pains. What happens many times is that they take time off and then start training or preparing for next season and find out they may feel better but they didn’t address their past injuries. They still have deficits. If you wait until you start throwing again to find this out, it’s too late. All my athletes start the offseason out with a thorough assessment that looks at all past areas of injury, regardless of whether or not they are currently symptomatic. Many times, strength deficits, scar tissue, fibrosis, and several imbalances are still present after an injury, even if your are playing without concern. Your body is really good at adapting and compensating. It will find a way to perform. This is likely one of the reasons that the number one predictor of future injury is past injury, meaning if you strain your hamstring, you are more likely to strain it again. You probably never adequately addressed the concern. You have to dig deep and find the root cause of the injury as well as clean up the mess created from the injury itself. Remember, many injuries occur due to deficits elsewhere in the body. Sometimes that elbow soreness is coming from your shoulder, for example. 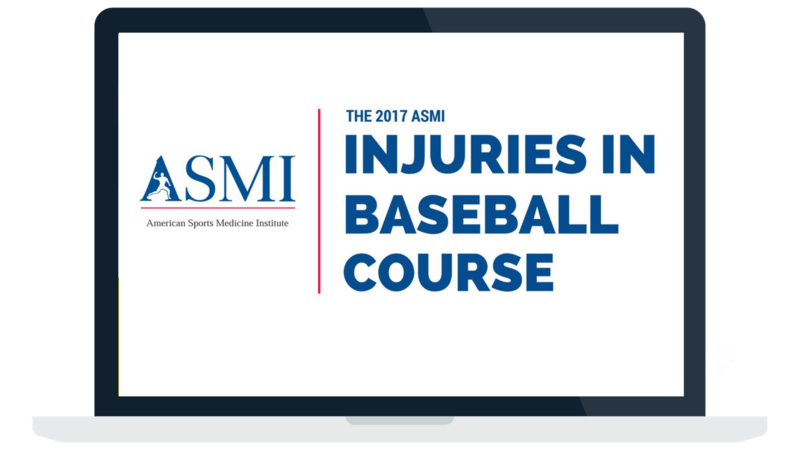 Resting at the start of the offseason is great for the elbow, but you didn’t address the cause of your elbow symptoms. In the financial world, the concept of rebalancing your portfolio is one of the cornerstones of sound investing. Essentially at periodic intervals you should assess your current portfolio balance and adjust based on the performance of your assets. As some of your stocks go up and others potentially go down, your top performers are probably taking up a very large percentage of your portfolio and skewing your balance. By rebalancing your portfolio at the end of the year, you assure that you redistribute your assets evenly and minimize your risk. This same concept is important for baseball training. After a long season of wear and tear you no doubt are going to have imbalances. This happens even if you get through the season injury-free. I say this often, but throwing a baseball is not natural for your body. You’ll have areas of tightness and looseness, you’ll have areas of strength and weakness. You’ll have imbalances and asymmetries. Your will gain external rotation, which isn’t necessarily a good thing and needs to be addressed! One of the most powerful things I can recommend for any baseball pitcher is that you get a thorough assessment at the end of the season. This serves as the most important day to me in your offseason program and the cornerstone of what I do with my athletes. We need to find out exactly how your body handled the season and adjusted over the way. Everyone responds differently. Without this knowledge, your just throwing a program together and hoping everything works out. This may work one year, but it’s going to catch up to you eventually. Probably right in the middle of next season! What is the purpose of all this? Simply taking time off after a season isn’t enough anymore. Simply jumping into an offseason baseball training program isn’t enough anymore. Simply performing a baseball long toss program isn’t enough anymore. You need to actively put yourself in the best position to succeed. Offseason training is the norm now. You used to be able to gain a competitive advantage by training your tail off all offseason, but your peers are doing this too. You can set yourself apart by setting a strong foundation BEFORE your offseason training. This is not as common and one of the biggest mistakes I see amateur baseball players make each offseason. Set yourself apart by starting your offseason on the right path. Take some time off, regen your body, get your past injuries evaluated, and go through a thorough assessment to find ways to maximize your bodies potential. Do this before the start of your offseason training so you set a fantastic foundation to build upon just. This is a big part of our baseball offseason performance training at Champion Physical Therapy and Performance. What did he top out at this weekend? Does that guy consistently throw hard? What was his velo? You can guarantee to hear these questions at our facility on Monday after a weekend of baseball, and velocity will continue to be the talk of the town. Everyone wants to throw hard and recruiters want to see the potential to throw hard, for better or worse. As you see more players throwing over 90 MPH, there is a trend to see more players well over six feet tall. Being tall creates better lever arms to potentially throw gas, but it also creates the need for more stability across more real estate. Tall pitchers typically struggle with a few things in the weight room due to their longer limbs. The longer lever arms often require a few extra areas of focus to maximize control and eventually power development. This article will detail a three of my favorite exercises to address those issues in tall baseball pitchers. Tall athletes almost always struggle with maintaining good trunk position, especially with a dynamic task like throwing a baseball. Adding weight in front of an athlete during an exercise will automatically create a need to use the core effectively. Be careful that the player does not cheat during the exercise by over-arching the low back. A great cue is to “connect the belt buck to the rib cage” during the move. Single leg work is vital to all athletic development, especially in those with long torsos. You can see how this pitcher is able to maintain a very upright torso and effectively load his lower half. A major leak of energy when pitching is a loss of good trunk position during the throwing motion. Sound familiar? It is very difficult to create force into the ground with the legs and deliver it to the arm with a weak center. Imagine trying to shoot a sling shot with a loose grip. Good luck hitting your target, let alone creating any speed. Tall guys like to create trunk stability by overarching the low back and using their spine instead of abdominal muscles. The tall kneeling position takes away stability, and the overhead catch and slam teaches the athlete to resist overarching the low back while winding up. He is now in a good position to deliver speed and force back into the ball. Here we see him using the abdominal muscles just like a firm grip in the slingshot analogy. Pitchers who are tall need to find ways to build strength and endurance in their lower half. Having a long femur and torso may make the risk in a risk-reward equation too high for my liking with heavy squatting. Sled drags are fantastic for tall pitchers because it allows heavy loading and little stress on the knees and low back. This exercise can be loaded heavy at the start of a session for a strength stimulus, or lighter for distance to build an aerobic base at the end of training. Sled variations are a staple at Adams Performance, and this version is in most of our tall athlete’s programming. The most important part of our approach to building great athletes is understanding everyone is anatomically and developmentally different. Tall pitchers have powerful levers as a natural advantage, so focus their training around developing strong and stable legs to create force and a strong trunk to deliver it. Give these variations with tall pitchers a try to improve performance and help them take advantage of their natural athleticism. One of the most common questions I get is related how to properly warm up. This includes questions on static stretching and its role in warming up prior to a training session or athletic event. Many people are mislead when it comes to performing a sound and ideal warm-up. In light of this, I wanted to take some time to discuss the best way to structure and progress through your warm-ups. This template is beneficial for athletes and will help maximize their performance. As a preface to the remainder of this article I would like to give a brief outline of how a warm-up should progress. Generally, I would advise performing full body self myofascial release through foam rolling prior to the beginning of every warm-up. Foam rolling can help work out and specific problem areas throughout the body. Plain and simple, mobility is the area of the warm-up where I like to either work on certain problem areas where there are mobility restrictions present, or simply target the muscles that will be used extensively during the training session. For example, if I have a group of athletes they will each have their own static stretches that target areas they specifically need work on. Otherwise, if you were to be working the lower body, for example, you could target your hamstrings, hip flexors, external rotators, quadriceps and ankles. The same can be said for the days where the upper body is your focus for your training. The core plays an extensive role in bracing the spine while your extremities are in motion. So, activating your core is extremely important if you desire to have an effective workout. Exercises such as planks, loaded carry variations and anti-rotations presses are great to ignite your core and prepare it to support you throughout many different ranges of motion. Stability is the ability to maintain mobility throughout an entire range of motion. Activation exercises not only help to work on this, but they also help us progress from the static stretches we have just done to begin our warm-up. I always tell my athletes that static stretching is okay to do prior to training or games as long as you properly activate after. So, exercises that require mobility through ranges of motion for your hips, shoulders, and glutes are a great place to start. This is where we perform a basic movement that corresponds to the primary movement we are training that day. Is your session centered on the bench press? Great, perform a set of pushups to rehearse a pressing variation. Getting in some barbell squats or deadlifts? Be sure to dedicate this phase to bodyweight squats or kettlebell swings. The goal is to now use the mobility and activation we have focused on and begin to phase it into movement patterns. I have actually written a previous article on my favorite central nervous system activation exercises. Basically, this is the last portion of our warm-up right before we begin our training or athletic event. Our goal is to engage the nervous system and have us firing on all cylinders before we begin our lift or game. A sprint, jump or throw are the most ideal. Our warm-up flows from mobilization to activation (in both the core and mobilized muscle groups), and then movement patterns and nervous system activation. Once we mobilize and deal with any restrictions we may have, it is imperative to be able to maintain mobility throughout a range of motion (stability) and allow muscle groups to work together synergistically. This is imperative as we begin to rehearse movement patterns that correlate to compound movements, which use multiple muscle groups. For example, the bench press or any pressing variation calls on the upper back, scapulae and shoulders. Activation exercises such as the “Dynamic Blackburn,” which is a prone facing shoulder activation exercise, would be great to utilize multiple muscle groups simultaneously after they have been mobilized. Once we have done this and then ignited our central nervous system we will place athletes in the proper position to perform optimally whether for training or an athletic game or event! One of the keys to pitching effectively is the ability to reproduce consistent mechanics and maintain your release point while on the mound. In the past, we have found that baseball pitchers tend to become more upright as the game goes on. Essentially, the lead knee and trunk are more upright from what would likely be fatigue of the legs. It’s no wonder that baseball pitchers tend to leave pitches up in the zone as they become tired. To date, we haven’t looked at this in youth pitchers, however a recent report out of AJSM sought to quantify any potential biomechanical changes in pitches aged 14-16 at the end of game. The authors noted similar findings. Your glove side landing leg tends to become tired and more upright, however, the authors also noted a decrease in pitching velocity and in the amount of rear leg drive and power. In order to best develop baseball pitchers, we need to understand what happens to the body as they pitch. Based on this information, high school age baseball pitchers should include a proper strength and conditioning program designed to maintain leg strength and power development during the course of a game. BACKGROUND: Few studies have investigated detailed 3-dimensional lower extremity kinematics during baseball pitching in adolescent athletes during extended play. Changes in these parameters may affect performance outcomes. PURPOSE: To investigate whether adolescent baseball pitchers experience changes in lower extremity kinematics and event timing during a simulated game-length pitching bout. METHODS: Twelve male adolescent pitchers (aged 14-16 years) threw 6 sets of 15 fastball pitches from an artificial pitching mound to a target at regulation distance. Joint angles and angular velocities at the hip, knee, and ankle of both legs were collected throughout the phases of the pitching cycle as well as stride length, pelvis orientation, pitch duration, timing of foot contact and ball release, ball speed, and pitching accuracy. Paired t tests ( P < .05) were used to compare the dependent variables between the last 5 pitches of the second (baseline) and sixth (final) sets. RESULTS: During the stride phase, decreased maximum angular excursions for hip extension (baseline: 14.7° ± 9.8°; final: 11.6° ± 10.3°; P < .05) and ankle plantar flexion (baseline: 30.2° ± 14.5°; final: 24.2° ± 15.3°; P < .05) as well as maximum angular velocity for knee extension (baseline: 144.9 ± 63.3 deg·s-1; final: 121.7 ± 62.0 deg·s-1; P < .05) were observed between sets in the trailing leg. At foot contact, pitchers had decreased hip flexion (baseline: 69.5° ± 10.1°; final: 66.5° ± 11.8°; P < .05) and increased hip abduction (baseline: 20.7° ± 8.9°; final: 25.4° ± 6.0°; P < .05) in the leading leg in the final set. Compared with the baseline set, ball speed significantly decreased in the final set (29.5 ± 2.5 m·s-1 vs 28.3 ± 2.5 m·s-1, respectively; P < .05). CONCLUSION: Kinematic changes and decreased ball speeds observed in the final set suggest that adolescent pitchers are unable to maintain lower extremity kinematics and performance as a result of extended play. CLINICAL RELEVANCE: The results from this study may warrant further investigation into how altered lower extremity kinematics may affect trunk and upper extremity function, performance, and risk of injuries during pitching in adolescent athletes, particularly during actual game play. Source: Am J Sports Med. 2017 Apr;45(5):1179-1186. doi: 10.1177/0363546516687289. Epub 2017 Feb 3. Most of us are here because of our shared love for one thing: baseball. Throughout our careers, we all grow to appreciate the little things: the smell of freshly cut grass, the pop of the catcher’s mitt, and taking in the view from the dugout, eager to put life’s troubles aside for the next few hours. Unfortunately, many of us don’t get to experience these things forever. So why do we end up parting ways with the game we love? The end of the road usually comes down to one of three things: injury, burnout, or you weren’t good enough to compete at the next level. To help those who’ve had to prematurely walk away from doing what they love most, this article will go over how you can put building blocks in place from when you were playing on your local Little League team all the way through the professional level to ensure your longevity in the game. Little League and youth baseball are incredible for teaching children the rules of the game. More importantly, it gives kids an opportunity to develop a passion for baseball and associate feelings of joy, fun, and happiness with the diamond. At the same time, it’s crucial that kids also participate in a variety of other sports. Early specialization is real, and high-strung parents have no problem locking their child into one sport so they have a shot at a college scholarship. Kids need both physical and mental variability, and exposing them to multiple sports will satisfy both of those needs. Step one for longevity on the diamond: Play more than just baseball during your Little League years. Prepubescent athletes don’t need to be partaking in a full fledge strength and conditioning program. Firstly, they don’t have the hormones needed to reap the benefits of heavy resistance training, and secondly, they probably don’t need rigid constraints placed on how they should move. But, early childhood is a critical period for an athlete to develop good motor skills, coordination, and agility. Because of a child’s plasticity and sensitivity to advancing their motor development, these years are a great time for them to practice moving their bodies in a variety of ways to help integrate visual, vestibular, and somatosensory information. This will help give them a stronger base to work from later on in their athletic career. These are the years when an athlete is constantly trying to adjust to their growing body, is probably playing in more games per year, and may be starting to lift weights. For all those reasons, it’s now time to start making movement assessments a must. Because of one’s athletic history, body type, and anatomy movement, compensations may start to rear their ugly head. Finding a quality physical therapist and strength coach who can identify where you move well/poorly and develop a plan to help you mitigate injuries is invaluable. A well-done assessment will not only show you what you’re good and not good at, it will also direct how you train, warm-up, and even what throwing program is best for you. Get assessments early, often, and make it habit throughout your career. When an athlete reaches puberty they have the hormonal capabilities to increase their muscle mass, strength, and power, and participating in a strength and conditioning program will help accomplish all three. Piggybacking off of the last building block, baseball is a unique sport; the repetitiveness of throwing and hitting, and the demands those two actions place on the body, mean that any old football or bodybuilding program won’t suffice for maximizing your performance and keeping you healthy. Find someone who knows the body and knows baseball, then begin making an individualized strength and conditioning program part of your routine. If you’ve made it to the collegiate level you’ve shown that your skills are above and beyond those possessed by the majority of your peers. Your lack of skills or physicality often isn’t what breaks you at this level; it’s the pressures of having to manage multiple aspects of your life that will hurt your performance. In high school, you go to school from 8-2, practice and play, go home and eat mom’s cooking, and repeat. You now have to go to multiple classes, study, cook, do your laundry, pay for things yourself, and, on top of that, practice and play. If you want to be successful at this level and prolong your career, you must develop good organizational skills, learn to make lists, and manage your time. Each ensuing year after high school will become more stressful. You’ll have more responsibilities and the pressure to perform well will continuously increase as you get closer to competing at the next level. Creating routines and good habits are critical to help minimize stress and set yourself up for success. Creating routines for how you go about your studies, practice, nutrition, training, and mental preparation will allow you to block out unnecessary stress and keep you focused on reaching your goals on the field. By the time you’ve reached the professional level your body will have accumulated a lot of games played or innings thrown–and you’ll want to have many more in your future. With that said, prioritizing recovery will greatly enhance your chance at having a successful career. Appreciate that being able to have longevity in any sport is a gift – but a gift you can exercise control over. Respect your body as much as you respect the game and you’ll find you won’t have to prematurely walk away from doing what you love. If you’re a parent reading this, how can you set your kid(s) up for success? If you’re a coach, how can you get the most out of your high school athletes? And if you’re a college or professional player, how badly do you want to get to the next level and how much are you willing to sacrifice to get there? Put the right building blocks in place and the game will be good to you.